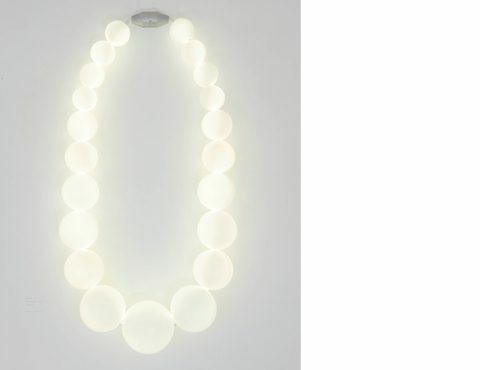 A wall-mounted light object in the form of an over-dimensional pearl necklace. Prototype for the exhibition ‚Bulb Fiction’ at Klaus Engelhorn Depot, Vienna. 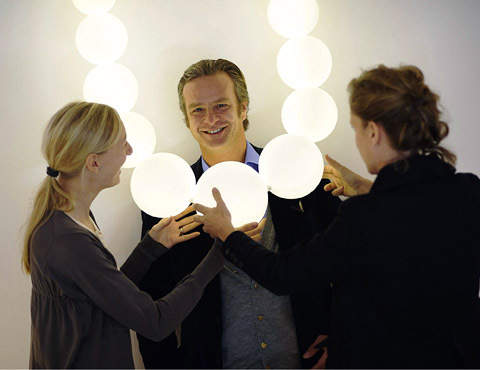 This light object playfully alters both the size and context of the classic pearl necklace. It also references a second motif drawn from daily life, the simple glass globe traditionally used to illuminate Viennese staircases.